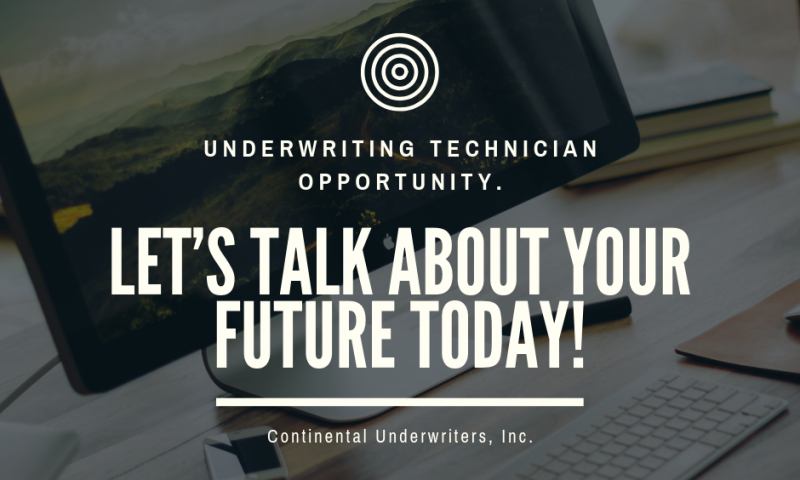 Continental Underwriters Inc UNDERWRITING TECHNICIAN OPPORTUNITY. - Continental Underwriters, Inc.
Continental Underwriters Inc UNDERWRITING TECHNICIAN OPPORTUNITY. 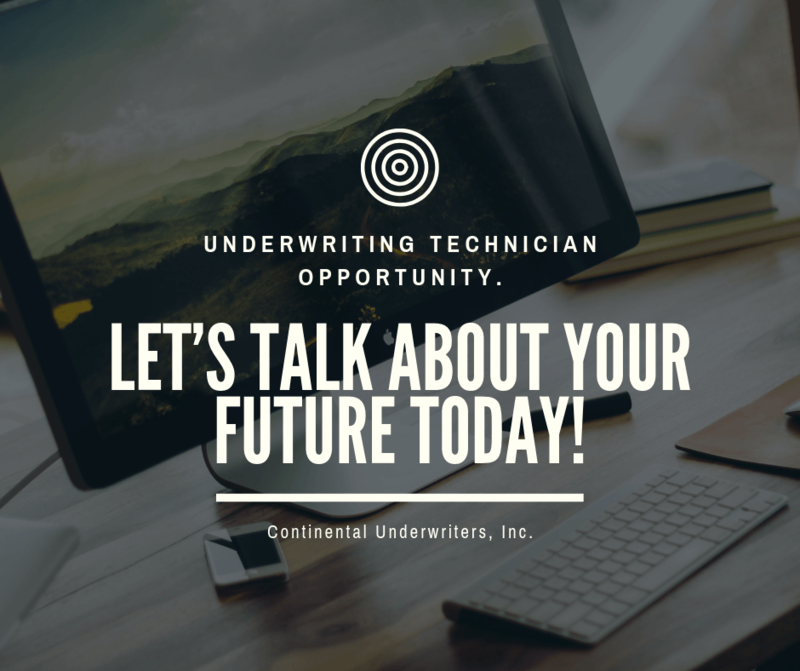 ≤ftarrow; Continental Underwriters, Inc. is looking for an Underwriting Technician!